The bunny has hopped by the Candy Chat studio and left the ladies with a basket of wild new treats this Easter! Betty and Tab enjoy surprising new flavors and twists on old Easter standbys, but will the surprises be for better or worse? Can Russell deliver on some exotic whip egg flavors? Will Sour Patch Jelly Beans be too tart to handle? What company is Cottondale and what kind of spices are in these beans? 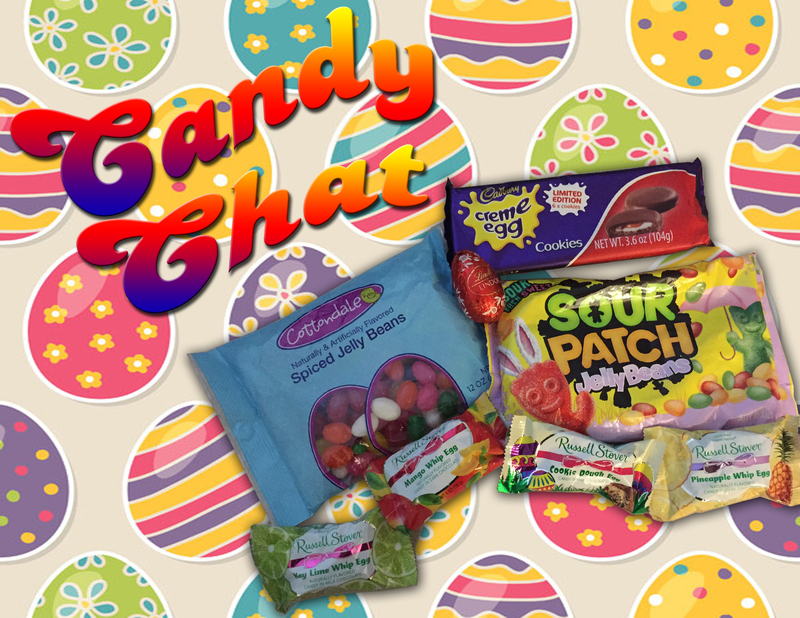 The ladies hop right in and find out on this springtime episode of Candy Chat!